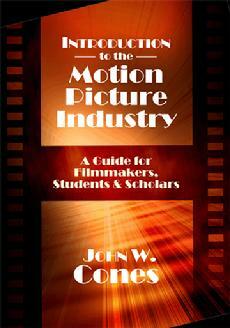 � the economics of filmmaking, including how to finance a film. The Appendix includes an essay that criticizes centralized control of the film industry (perfect starting point for a class discussion), and the book also contains endnotes, references, a detailed glossary of film-industry terms and an index. Introduction to the Motion Picture Industry is ideal for introductory film classes and an indispensable reference for anyone considering a future in or already working for the film industry. John W. Cones is a securities and entertainment attorney in Los Angeles, where he advises clients who produce independent feature films, videos, television shows and plays. He has written 11 other books on Hollywood, and he lectures frequently on film finance and distribution.